We know that we love rights. And indeed, the RTI has brought us much joy. Several large (and small) scandals have been exposed through its use. Many entitlements have been provided when it has been used, at times even at the prospect of it being used. 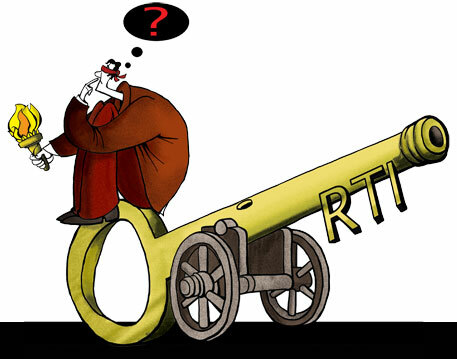 Scarcely a day goes by without a mention of the RTI in the news. It has brought in a palpable sense of empowerment in the lives of many ordinary Indians, not to mention activists and citizen groups. We even have a new kind of social worker – the RTI Activist. We know that we love the right to know. But 10 years later, we also know a few other things. We know that the government that brought in the Act presided over the greatest corruption scandals that the country has ever known. We know that with thousands of appeals waiting to be heard (regardless of whether the Chief Information Commissioner has been appointed or not), a piece of legislation that had been supposedly designed to ensure effective implementation is collapsing under its own weight. (We already knew it, some would say, given the state of our judicial system.) We know that political parties love to take credit for the RTI, but are loath to submit to it. We know that NGOs love the RTI, but rarely make public details of their finances and functioning anywhere close to the extent which they want the government to. We know that the media uses the RTI with great gusto, but we do not know who owns the media, and we certainly cannot use the RTI Act to find that out. Perhaps we also know that we don’t really know a lot. But we do know that we are living in a period of great transformation. And amidst all the churning and turmoil, we know that the RTI is our brahmastra. We know that the more we use the RTI, the stronger we become. With the RTI we can prove every day that the state is arbitrary, inefficient and corrupt, and using it keeps the state in its place. We are relieved. We are empowered. But so is the other. Because the more we show the state to be inefficient and corrupt, the easier it becomes to outsource, contract-out, hybridise and privatise. We may think we know what good action is, but we can still harm ourselves unknowingly. At the same time, there is nothing inherently immoral or unethical about outsourcing and privatisation. That the state must focus primarily on regulation and ensuring the rule of law, and leave implementation to other actors is not an invalid argument. Consequently, if a non-state entity provides public goods and services equitably and efficiently, there is nothing intrinsically wrong in that. But when it doesn’t, what can we do? We can no longer summon the RTI to our rescue. The brahmastra lies inert as it was designed to work only against the state. Then how do we hold to account a private entity performing public functions? Perhaps as consumers. Perhaps as shareholders.But as citizens? Do we know whether we are consumers, or shareholders, or citizens? It would be easy to blame the state and protest (yet again) that the democratic space is shrinking, that institutions are being compromised, that big capital rules our lives. But perhaps it is here that we need to look within. To what extent have our own ‘good’ actions in the past unknowingly (or knowingly) contributed to the challenges of the present? We fetishised legislation as a panacea for all manner of ills, knowing fully well that the ability of the judiciary to deliver timely justice was next to impossible. We restricted our notion of social and political change to bringing in new laws and rights knowing fully well that the state does not have the capacity to implement any of it widely or effectively. We limited our demands for transparency only to the state because it was politically expedient to do so. We saw no harm in compromising institutions and processes in our haste to make the best of “windows of opportunity”. Because we knew we were doing good and changing the world. We willingly and knowingly played the game. And it was worth it. Because we wanted to have the state and beat it too. Might it be true that a little knowledge is indeed a dangerous thing? Because as things unfold in the fullness of time, they often don’t go according to script. Especially once institutions and processes have been compromised. Once that genie is out of the bottle, it’s about who possesses the lamp. And if it’s no longer with us, we go back to our comfort zone. We protest. We seek more democratic space (is it ever enough?). We demand new legislation. We wait for new “windows of opportunity”. The cycle continues. We think we know how to fix the world, but do we know how we relate to it? Perhaps the best way to reflect upon the first decade of the RTI Act might be to introspect. What is our imagination of the role of the state and our relationship with it? What is the role of the market and our relationship with it? Is legislation the only way to define and mediate these relationships? When we talk about transparency and accountability, why do we think only of the state? Is the state the only location of power? And if it is not, should we not be thinking about holding power to account rather than the state? And how is this to be done individually, collectively, and politically? Until we are willing to expand our imagination of social change beyond rights and legislation, we might discover that the more we know, the less we understand.